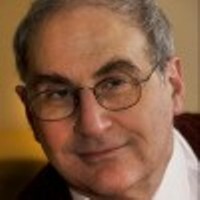 Lawrence Solomon is one of Canada’s leading environmentalists. He is a columnist with National Post (Toronto) and has been a columnist for the Globe and Mail (Toronto), a syndicated columnist, a contributor to The Wall Street Journal, and editor and publisher of the award-winning The Next City magazine. He is author or co-author of seven books, including most recently, The Deniers (Richard Vigilante Books). 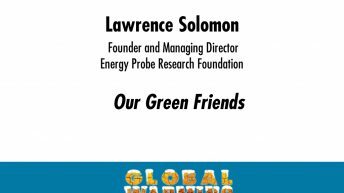 Solomon is a founder and managing director of Energy Probe Research Foundation and executive director of its Energy Probe and Urban Renaissance Institute divisions. He also helped found the World Rainforest Movement, Friends of the Earth Canada, and Lake Ontario Waterkeepers. Solomon’s 1982 model for electricity reform was adopted in the United Kingdom in 1989, leading to the demise of nuclear and coal power in the UK and its adoption of high-efficiency natural gas technologies. His model has since become the dominant model for electricity-sector restructuring in the world. His recommendations in the late 1980s and early 1990s for reforms in Ontario’s natural gas sector contributed to an industry restructuring that yielded both economic and environmental benefits. His 1996 model for the satellite tolling of roads has been adopted throughout the European Union. He holds patents for toll road technology for the EU, China, Singapore, Hong Kong, Mexico, and Brazil. Energy Probe Research Foundation, founded in 1979, is one of Canada’s leading environmental organizations. A proponent of conservation and renewable energy and a critic of coal, nuclear power, and large-scale hydro dams, it works with citizens groups around the world to stop environmentally and economically destructive projects and promote sound development.